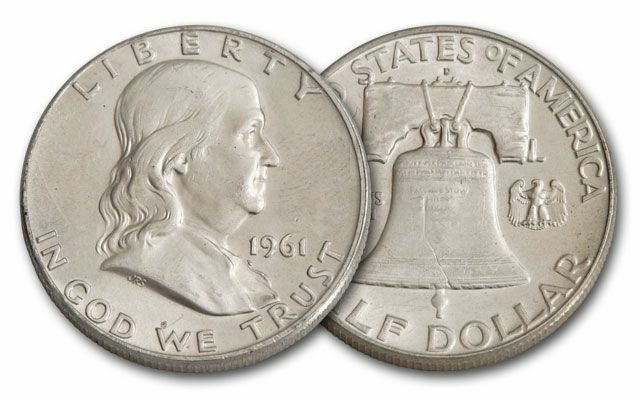 This 1961 Silver Half Dollar features Benjamin Franklin and the Liberty Bell. It is in Brilliant Uncirculated (BU) condition, and was struck in 12.5 grams of 90% silver at the Denver Mint. Benjamin Franklin was one of the Founding Fathers of the United States and his legacy as a leading author, printer, politician, political theorist, scientist, inventor, statesman, freemason and diplomat was not forgotten. Any collector who's interested in American History should seek to obtain the Franklin Half Dollar series, because of his importance in the early years of the United States. 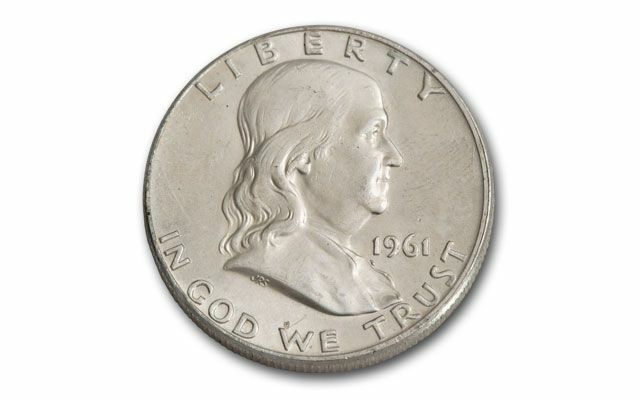 The obverse features a portrait of Benjamin Franklin facing right with LIBERTY above and IN GOD WE TRUST below. 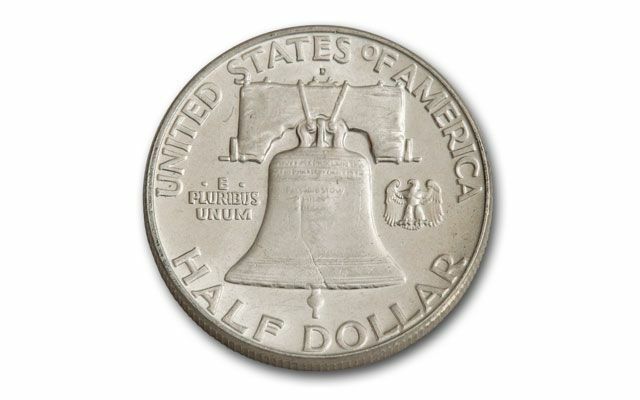 The reverse shows the Liberty Bell in the center with inscriptions of UNITED STATES OF AMERICA above and HALF DOLLAR below. Also included is E PLURIBUS UNUM to the left of the Liberty Bell and a small eagle to the right. The Franklin Half-Dollar was only struck for 16 years (1948-1963) and was abruptly ended shortly after the JFK assassination. 1961 was the year that John F. Kennedy was inaugurated as the 35th President of the United States. In the years to follow, JFK's assassination had a huge effect on the American Half Dollar series. Add this Silver Franklin Half Dollar to your collection today!